In the mountains of Idaho in 1990, Jim and Kitty Vincent founded RIO on the belief that the best fly fishing products can only be built by actual anglers for anglers. 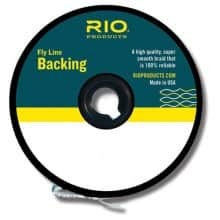 After years of selfless devotion to designing, building and testing fly lines, RIO fly lines are some of the most comprehensive and technically advanced fly lines out there. 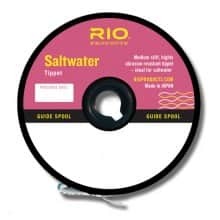 Through an intensive understanding of the fly line taper, RIO has a fly line specifically build for nearly every fly fishing situation and species out there. RIO’s foundation of built by anglers for anglers remains strong today, that’s why fly line research & development involves spending thousands of hours on the water from cold, clear Idaho streams to turquoise, warm tropic flats and everywhere in-between. All to provide you with the highest performing fly lines in the industry. Surefire tri-color marking system improves casting accuracy by making it easy to gauge exact distances with a quick glance.